Nava has cider in his veins. 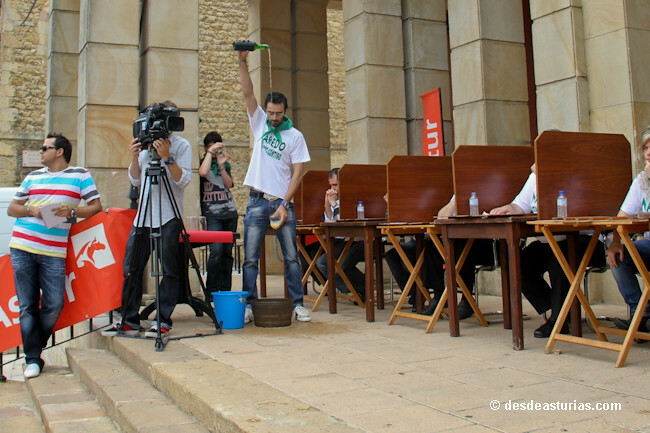 There is pride cider everywhere, not in vain is the Cider Museum and organizes one of the basics of Asturian summer, where cider runs in abundance and the "folixa" is the most genuine. 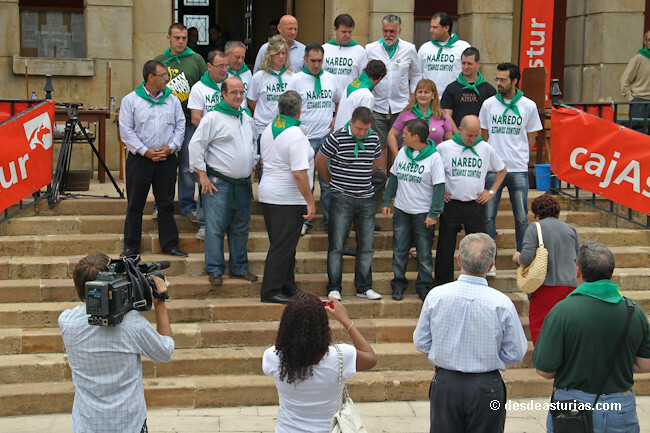 An enthusiastic proclamation, with chupinazo included, starts the festivities. This year 2016 the Cider Festival will be the 8, 9 and 10 of July. Recoleta square Manuel Uría, or Town Hall Square, is already full to the flag. Thousands of people crowd the rest of the village. 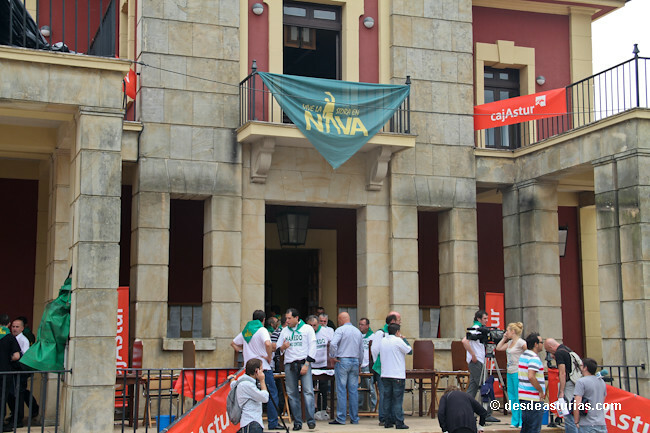 Many have arrived in Nava in the "sidrotrenes" (RENFE trains with special schedules that arrive in the town from all over Asturias). Little by little, the square and the adjacent streets are impregnated with the penetrating smell of cider. 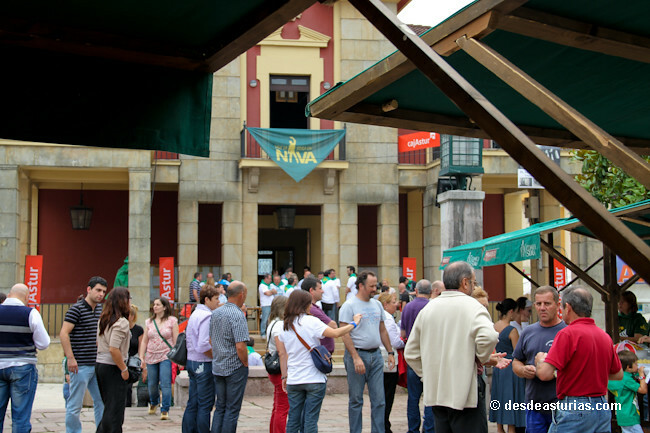 The Nava Cider Festival is a tribute to the liquid element. It is celebrated since the year 1969, always the second weekend of July. In 1989 was declared a National Tourist Interest Party. 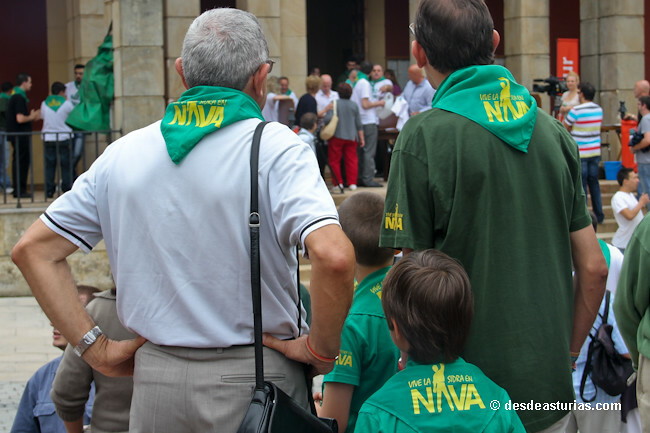 The location of this event can not be more accurate, because Nava is a locality with its own name in the so-called Comarca de la Sidra. 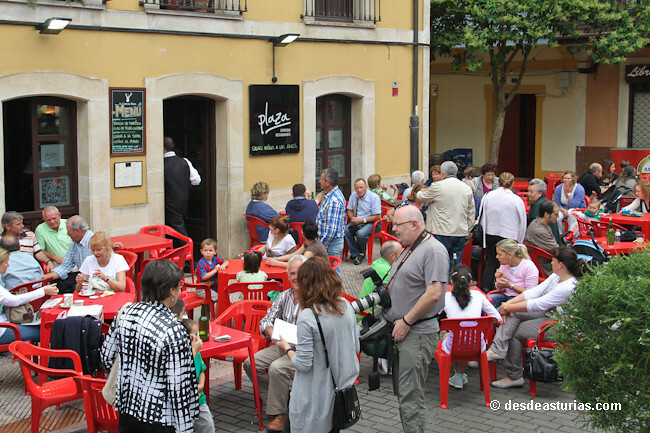 The pomaradas, llagares and cider houses abound in the municipality. 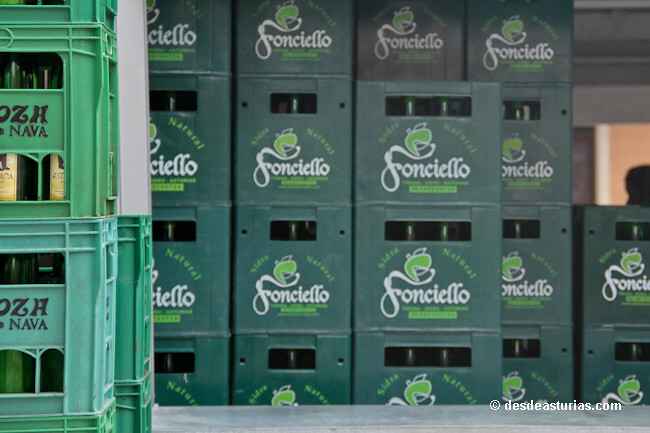 The year produces more than 10 million liters of natural cider and the sector advances here as nowhere else, consolidating cider with denomination of origin and new table cider or "new expression". Sparkling ciders, cider spirits, vinegars and must also have a place in this land. 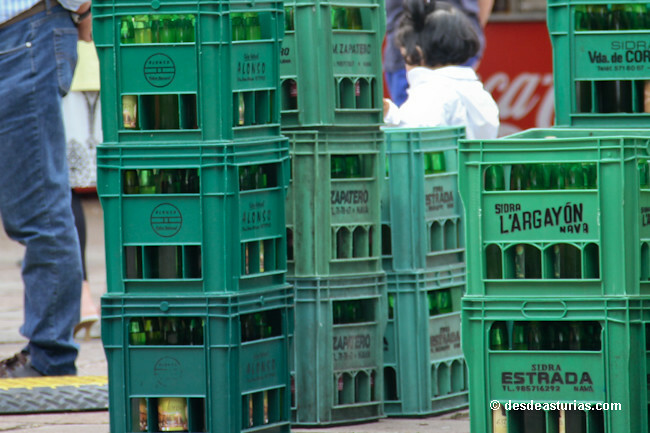 In this town you can also visit the Cider Museum of Asturias. 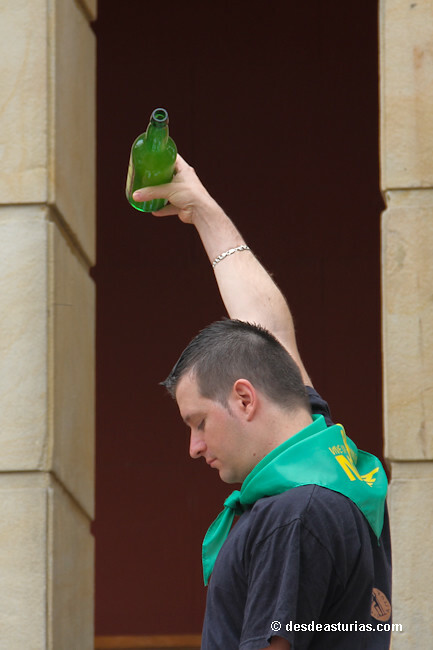 In any case, the protagonist of the most famous cider festival in Asturias, the one that congregates real crowds, is the natural cider: an alcoholic beverage of low alcohol content, without gasification, made from fermented apple juice, which in Asturias tastes like nowhere else in the world. There is no better chance, no doubt, to try the first cider of the season. 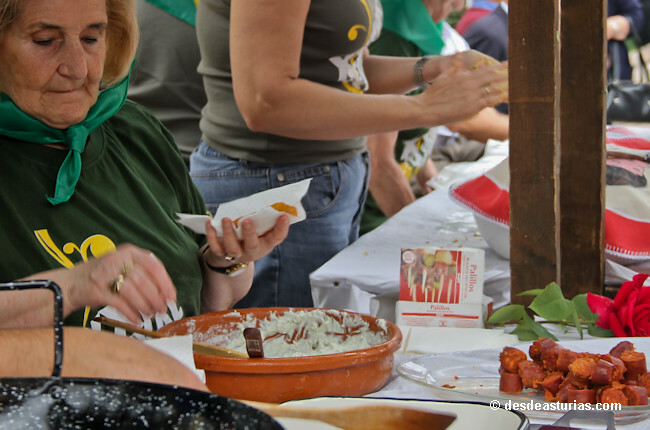 The Association of Lagareros offers, free of charge, the tasting of thousands of liters; you only need to knot a green scarf around your neck to identify yourself with the local fans that meet at the Town Hall Square. 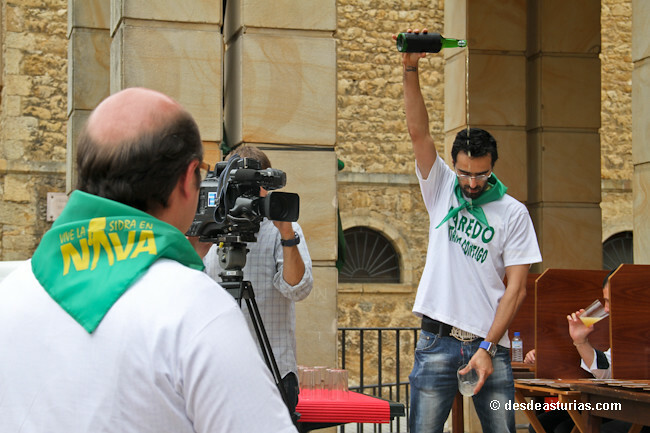 A "Preba de sidra" unparalleled that takes place on Saturday from the 12 hours, once chosen the cider festival queen. 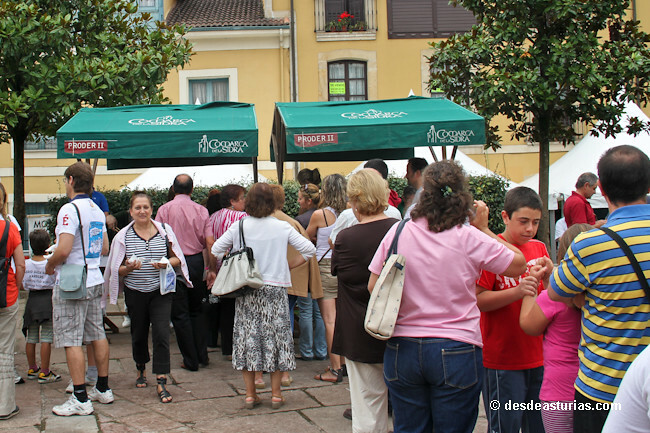 The popularly known as "cider route" starts at the same time as this tasting and does not stop during the whole weekend. 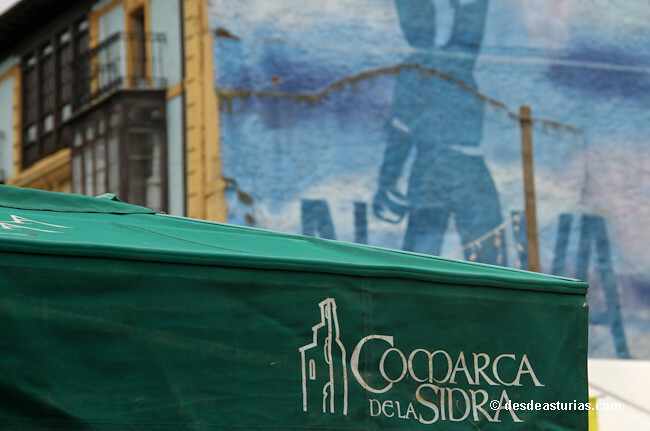 It's about going from position to position and accompany the culines with cheeses, sausages, empanadas, tortillas, preñao buns, boroña ... Do not miss the appointment, barracks, raffles, trampolines and numerous stalls. 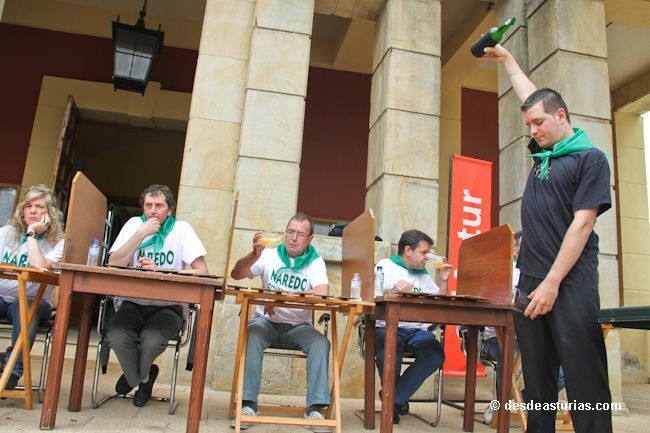 The contest to choose the best Natural Cider made in Asturias -and in Nava's own villa- is celebrated that same Saturday morning and is a major event of the event. 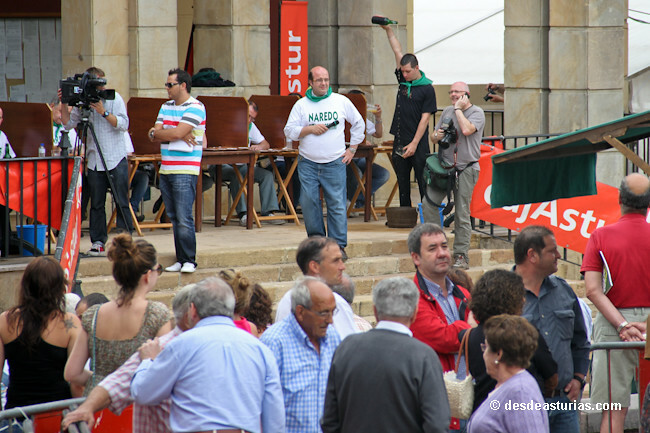 The great majority of llagares of Asturias are presented to the same one. 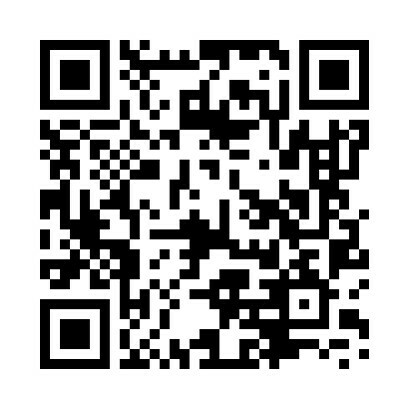 All seek the most notorious recognition, the advertising reach of an award of such caliber. 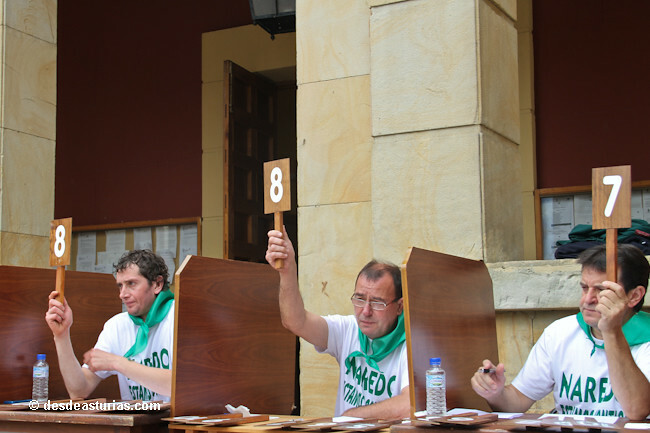 In the final, after an arduous preselection, only the eight best ciders are present, which they compete for the prize in a blind tasting and before the expectation of the attending public. 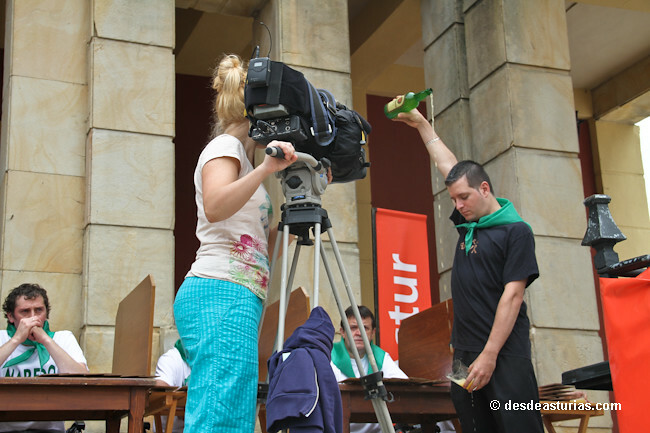 The jury is composed of 10 independent experts and the victorious cider is announced from the balconies of the consistory. The prize is presented to relevant regional and municipal authorities. 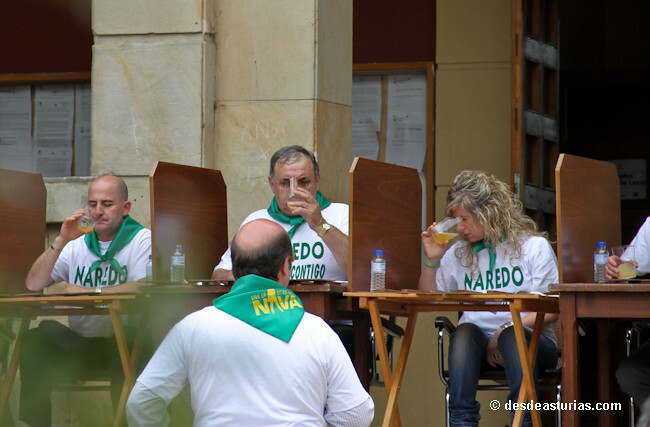 A colorful ceremony, official as well as informal, in a square where the smell of cider and its effects are increasing. 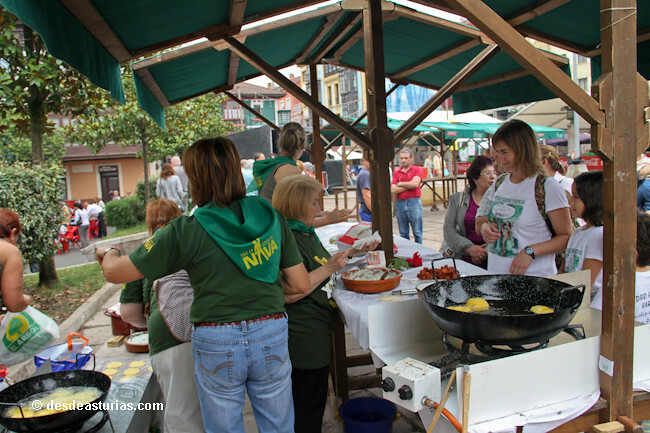 On Saturday, as well as throughout the weekend, a good number of children's activities, bagpipes and regional dances, live concerts with strong dishes from the music scene ... Very early in the morning, the festival is still alive in more than one tent with different musical proposals. 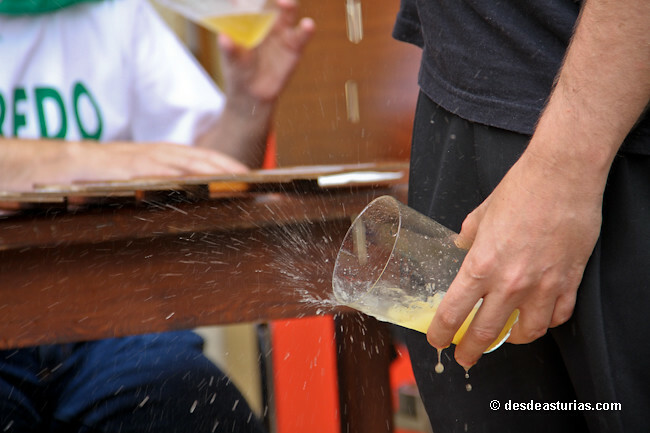 Cider pouring can do it anybody; to pour it out well is something else quite different. 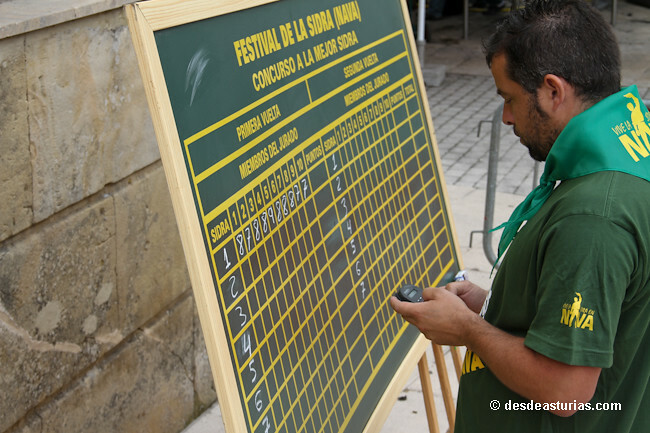 In Nava we can enjoy on Sunday, the last day of the contest, with the numbers one of the specialty. Those unique types who do not tremble when it comes to offering the best culin. He International Cupping Competition not only rewards the technique of the "espalme" - the peculiar way in which the cider crashes on the edge of the glass and the immediate disappearance of the foam once poured -, also takes into account the elegance, the bearing in the pouring , the way to catch the bottle, the look of the pourer, the "resistance" of the particles of carbonic gas in the culines that the jury proves; even the "stick": that veil of fine foam attached to the glass, which must leave an exact trace once we have removed the lips. 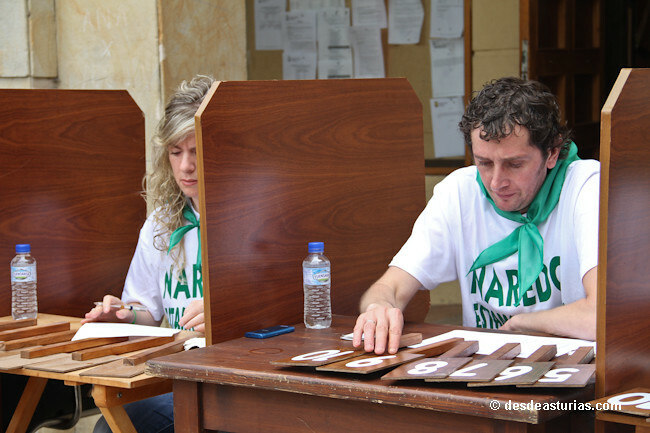 The winner is made public in an act to the effect and attends in full The Good Brotherhood of the Siceratores, with its official green uniform, cape and monteras included, to give greater prominence to a deserved prize. 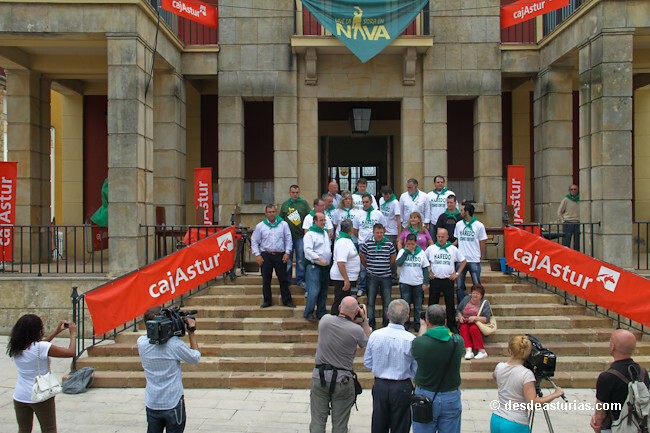 During the week prior to these central events take place in Nava exhibitions, talks and talks, book presentations, bowling championships, tastings, gastronomic tastings. The Cider Museum organizes several of these events. 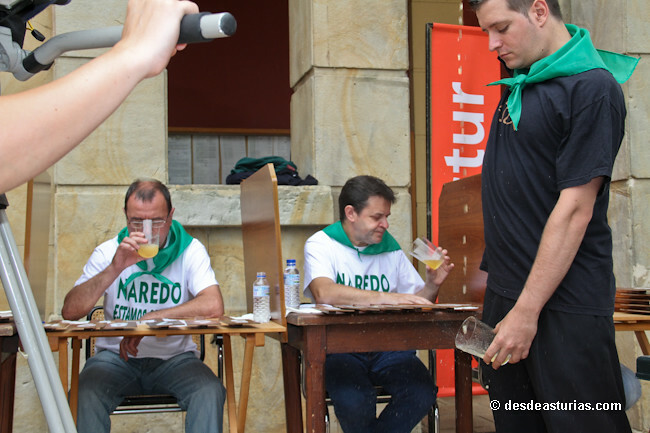 If you want to know the authentic cider culture, Nava is the place and, its festival, the moment.